BANKSY | IS THIS ART? I made this collage by getting different pictures off the internet. 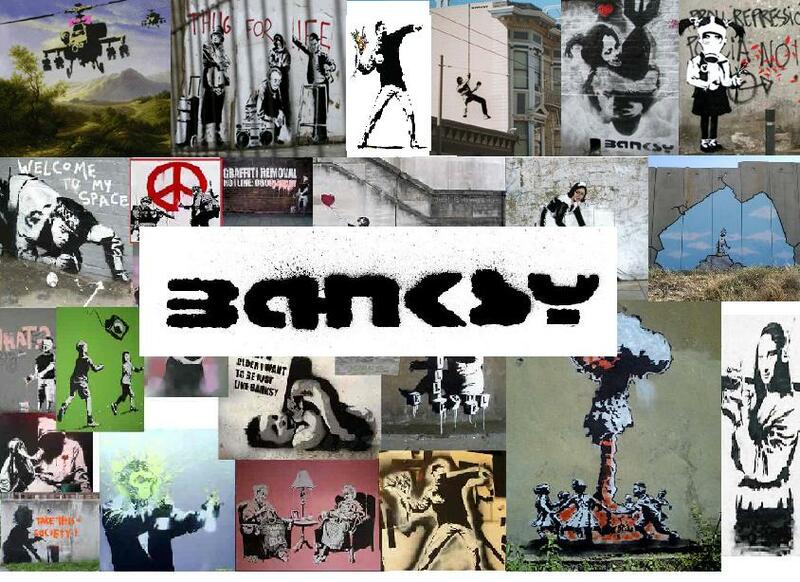 This is Banksey’s work. Banksy is a British based graffiti artist. Supposedly No one has seen his face or knows his real name.His art can be seen throughout the world. He use stencils and spray paints them on to walls,streets and bridges. He’s pretty awesome. Posted on October 16, 2011, in Uncategorized. Bookmark the permalink. 2 Comments.